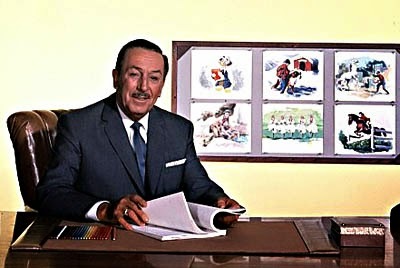 Walt Disney at Disneyland, probably not long after it opened. Note all the folks in the distance, watching, with some starting to come over. Now that's personal magnetism. 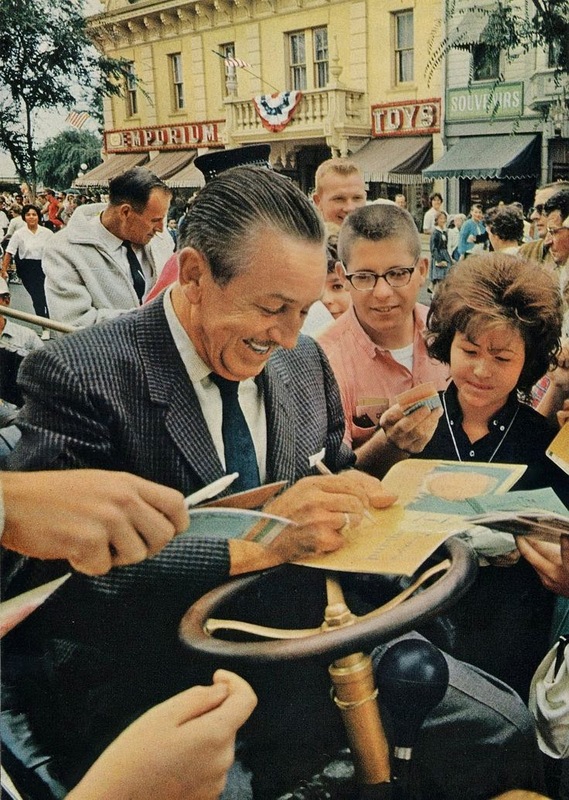 Could you imagine being in the park in the 1950s and suddenly realizing that Walt Disney himself was just, like, there, a hundred feet away, signing autographs for whatever fans happened to be walking by? At this point, he would have recently released "Cinderella," "Alice in Wonderland," and "Peter Pan." Plus, he would have just opened this game-changer park which likely still confused everybody about its purpose, it being the first theme park ever built. And that's not to even bring up the films he was winning handfuls of Oscars for every year, his classic shorts of the period. And yet there he is, dressed immaculately and thus showing respect for his fans (imagine that from some Hollywood idiot today), riding in a little cart, stopping to sign autographs for anonymous fans for the sheer heck of it while there had to be all sorts of issues for him to think about - such as working on the upcoming "Sleeping Beauty." 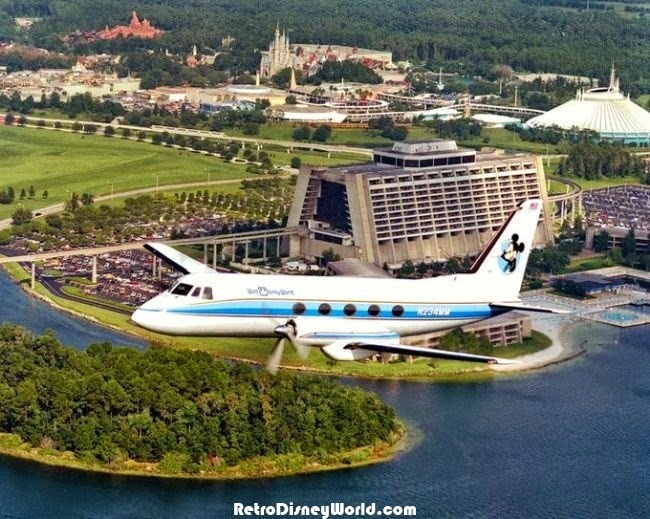 Walt Disney World in Florida wasn't even on the horizon yet.